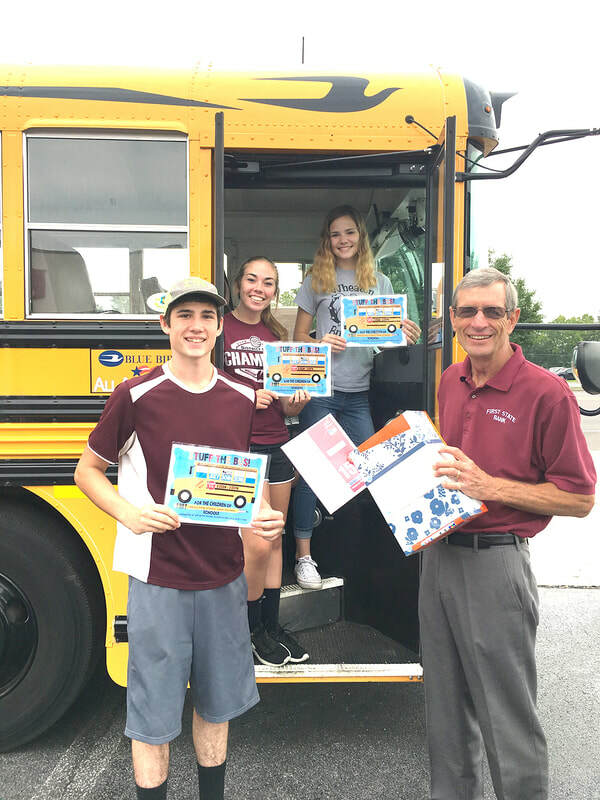 First State Bank recently held a Stuff the Bus event to benefit the OACAC School Readiness Fair on Monday, July 30. The drive collected supplies for students at Cassville, Exeter, Purdy, Southwest and Wheaton Schools. Pictured above, from left to right, are Wheaton students Ty Hudson, Calista Burns, Allie Reed and First State Bank’s Landon Fletcher.